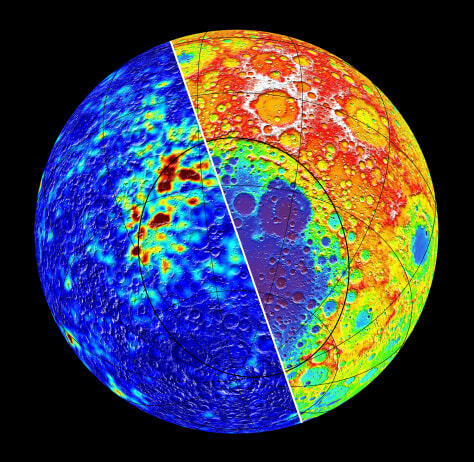 Did huge asteroid's impact spur moon's magnetic anomalies? This image released Thursday shows the biggest group of odd magnetic anomalies on the moon near the northern rim of the largest lunar crater. The anomalies, left, stem from highly magnetic material likely from an asteroid that created the 2,000-kilometer-wide basin, scientists say.